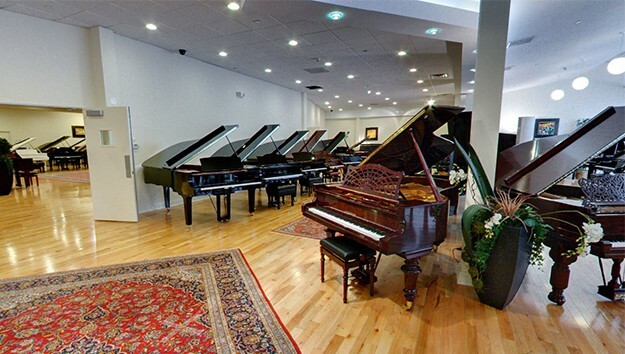 We carry the largest selection of Bechstein pianos in the country. C. Bechstein pianos are among the very best pianos Europe has to offer and are among the finest instruments chosen by the world’s most knowledgeable performers. For more than 150 years, Bechstein’s exceptional craftsmanship, distinctive transparency, responsive touch, and lyrical, singing voice has inspired history’s most legendary artists. To inspire the accomplished concert artist, the serious musician, the aspiring young student-any discerning music lover who can truly appreciate a piano that is so incomparably expressive, it’s like having an orchestra at your fingertips. The C.Bechstein series represents a line of elite pianos, which are powerful and colorful, and are suited for all musical styles. The C.Bechstein aura is continuously nourished by the affection and confidence of world-famous artists and music lovers. C. Bechstein Pianos & instruments, their individual depth and an unmistakable character have inspired composers of greatest standing. A remarkable sound and a highly professional playing style that embody a sublime tone. 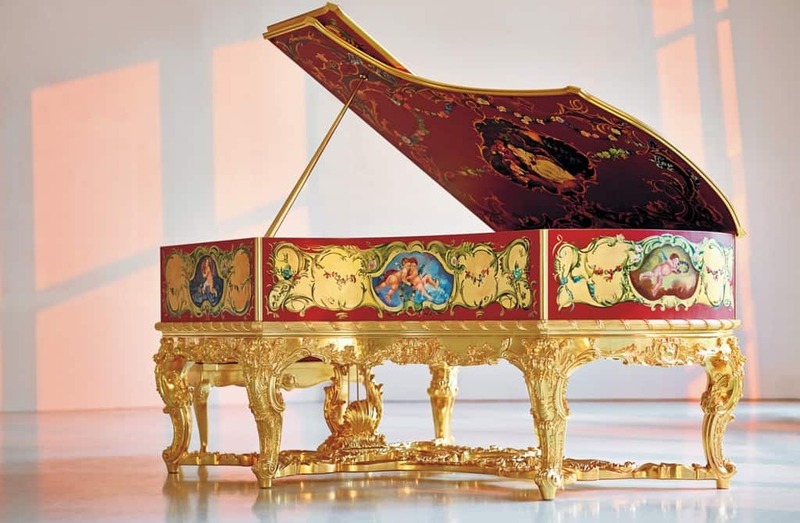 C.Bechstein creates magnificent art cases pianos. 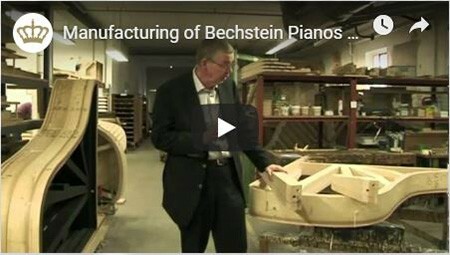 It is clear why the Bechstein Piano company has become Europe’s best known and largest piano producer. 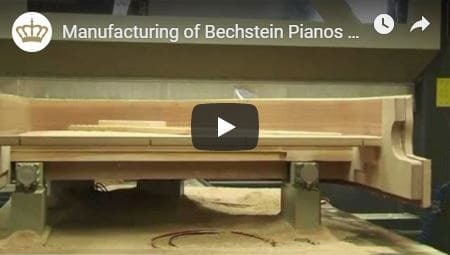 The Bechstein piano-making concept views a piano as more than the sum of its parts. The legendary Bechstein sound stems from the attention paid to the piano as a whole, producing a unique, unmatched sound. Excellently trained and experienced craftsmen devote the quality time required to produce a masterpiece that can beautifully withstand the test of time. The careful calibration of the sound body and action assembly specifically are essential in creating premium musical instruments. In 1853, Carl Bechstein used his expertise in sound and touch to develop a revolutionary piano worthy of the greatest Romantic composers. Due to his innovation, pianos became a staple of musical expression. 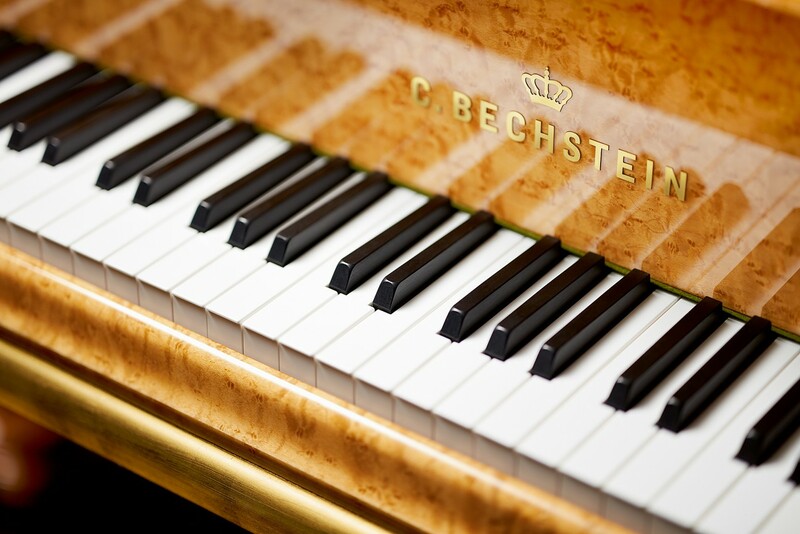 Bechstein hand-crafted his luxury masterpieces, a tradition still carried on by modern masters. Since its brilliant conception, Bechstein pianos have been setting the bar for the piano manufacturing industry. Bechstein’s Research and Development department is staffed by master piano makers who use state of the art technology to improve its manufacturing process. The company even surpasses the requirements of the German piano-making standards in personnel training; each technician trained at Bechstein is also a pianist who participates in music competitions hosted by the company. The Bechstein dedication to excellence extends from concept to quality control and technician to performer. One example is Bechstein producing its own hammers (the only European piano manufacturer to do so), made individually and optimized for shape and weight. This allows for elaborate processing of the finest materials and continuous consultation with tone and voicing specialists. The result is audible quality improvements of dynamics, volume and the spectrum of dynamic tone colors. Bechstein’s rich history and dedication reveals why it has become Europe’s best known and largest piano producer. Bechstein was founded in 1853 by Carl Bechstein, a young German piano maker who, in the exploding world of piano technology of his day, had visions of building an instrument that the tradition-bound piano-making shops of Berlin were not interested in. Through fine workmanship and the endorsement of famous pianists, Bechstein soon became one of the leading piano makers in Europe, producing over 5,000 pianos annually by 1900. The two World Wars and the Depression virtually destroyed the company, but it was successfully rebuilt. In 1963 it was acquired by Baldwin, and in 1986 Baldwin sold it to Karl Schulze, a leading West German piano retailer and master piano technician, who undertook a complete technical and financial reorganization of the company. In the early 1990s, Bechstein acquired the names and factories of Euterpe, W. Hoffmann, and Zimmermann. 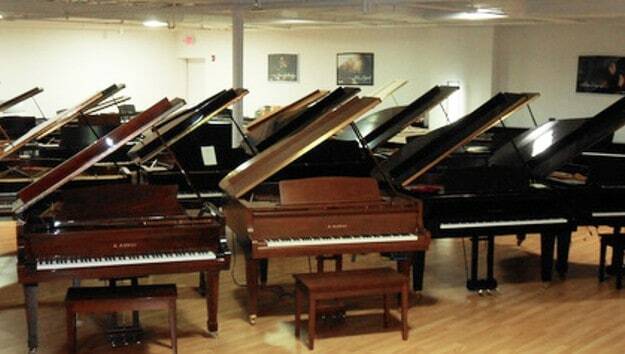 Pianos with these names are currently being sold in Europe, but only W. Hoffmann is sold in North America. In 2006 Bechstein purchased a controlling interest in the Czech piano maker Bohemia, and integrated it into a new entity called C.Bechstein Europe Ltd.
Bechstein says that all Bechstein Pianos are manufactured in Seifhennersdorf, Germany, and that W. Hoffmann pianos are made in the Czech Republic. 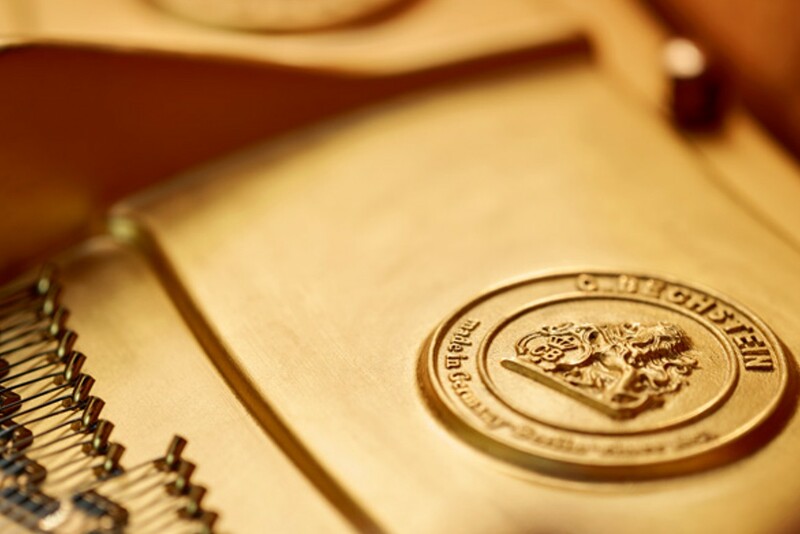 Bechstein recently announced a technical-cooperation agreement with the Chinese piano maker Hailun, and it is widely believed in the industry that major components for some Bechstein and/or W. Hoffmann models are made outside Europe. With few exceptions, Bechstein prefers not to divulge where the components for its instruments are made, a policy that frustrates some industry observers who seek transparency. However, the company says that, whatever the origin, all parts are inspected and made to conform to its rigid standards; in my experience, all models, including the less expensive ones, continue to receive praise for their high quality. 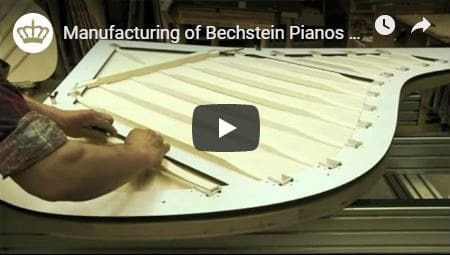 Bechstein Pianos use Abel or Renner hammers, solid European spruce soundboards, beech or beech and mahogany for grand rims and some structural parts, and maple pinblocks. Three pedals are standard on all pianos, the grands with sostenuto and the verticals with practice pedal (sostenuto optional). Over the past decade, all Bechstein grands have been redesigned with a capo bar (eliminating the agraffes in the treble), higher tension scale, and front and rear duplex scales for better tonal projection and tonal color. Also, unlike older Bechsteins Pianos, which had an open pinblock design, in the redesigned grands the plate covers the pinblock area. 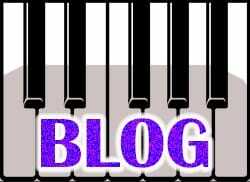 For better tuning control, the higher-level pianos are without tuning-pin bushings. 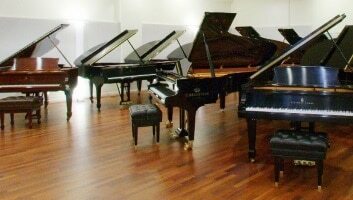 Bechstein pianos are available in two levels of quality. The regular verticals and partially redesigned versions of the old grand models now comprise a lower-priced “B” series, and say only “Bechstein” on the fallboard. They were previously named the Academy series. The 51½” Concert 8 (one of my all-time favorite verticals), several smaller verticals, and the fully redesigned grands (models D, C, B, M/P, and L), are the higher-priced line and say “C. Bechstein” on the fallboard. The company says that both lines are made in Germany, though for cost-effectiveness some parts and components may originate in the Czech Republic. 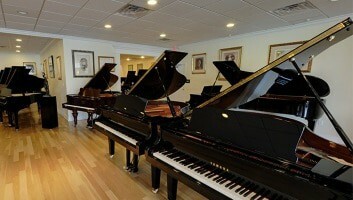 The differences between the B series and C. Bechstein lines appear to be primarily in tonal philosophy and cabinetry. C. Bechstein grands were designed with a higher tension scale for better projection, and with various components that the company believed would result in the greatest usable palette of tonal color: tapered soundboard, vertically laminated bridges, hornbeam hammer shanks, solid keybed, thicker rim, and hammers with walnut moldings and AAA felt. The grand soundboard is installed after the inner and outer rims are joined. The ribs are tapered after being glued to the soundboard, and the heavy-duty rim posts are dovetailed and embedded in the rim. The less-expensive, traditional, B-series grands have an untapered soundboard, solid beech bridge with beech cap, maple hammer shanks, expansion-type keybed, and hammers with mahogany moldings and AA felt. The same quality wood and strings are used in both. The rim parts are joined, and the soundboard and ribs installed, in a more efficient, less time-consuming manner than with the C. Bechstein models. C. Bechstein keys still use leather key bushings, whereas the B-series keys use the more conventional cloth bushings. Bone keytops are an option on the C. Bechstein pianos, and genuine ebony sharps are used on both series. 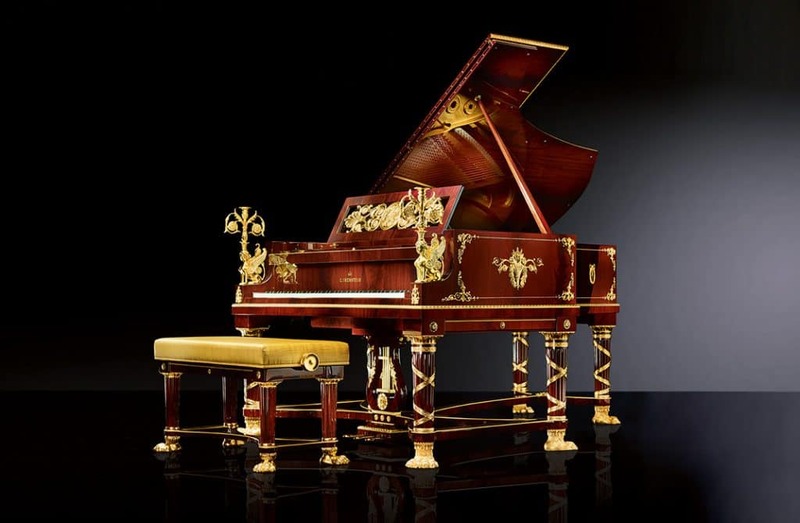 The company uses its own Silver Line action in the Bechstein series and, in the C. Bechstein Pianos series, its Gold Line action, which is made to slightly stricter tolerances. As part of its global strategy, the company uses multiple suppliers for nearly all parts; parts for the Gold Line action come from Renner in Germany, while Silver Line parts are sourced from several countries, including China. Both actions appear to be well made, and both are of the Renner design, with the smooth, responsive touch characteristic of that design. Of course, the parts from Renner are more time-tested than the others. The C. Bechstein Pianos cabinetry is much sleeker and more sophisticated than the plain B series, though both cabinets are finished to the same standard. The C. Bechstein plates receive the royal hand-rubbed finish; the other plates are just spray-finished in the conventional manner. When the two lines are compared side by side, there are differences in their finished quality and performance level. Although the B-series pianos are, generally speaking, very good instruments with a slightly warmer default tone quality, the C. Bechstein models clearly outperform this less expensive line, and are free of the small tonal inconsistencies and minor flaws we have observed in the B series. It’s possible that the comparative shortcomings of the B-series instruments could be remedied by further technical work, but it’s apparent that they are not prepped at the factory to the same standard as the C. Bechstein pianos. C. Bechstein grands are impeccably made in Europe and are “orchestrally” voiced, a concept that the company says is related to the change of timbre at different velocities of touch. According to Bechstein, customers who do not explore this feature of tonal design often prematurely assume that the piano is voiced too bright for the American musical taste. (However, several of my colleagues had high praise for the wide dynamic range, tonal color, and responsive action of the redesigned 7′ 8″ model C grand.) 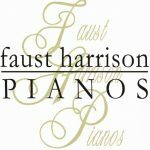 The company maintains that since voicing is a matter of overall piano design, their pianos are voiced at the factory to their tonal standard and should not be significantly altered. Some customers may still prefer the slightly warmer sound of the B-series grands, which are also about half the price of the C. Bechstein models. Bechstein engineers oversee production of the Bechstein-designed W. Hoffmann line of pianos in the company’s Czech facility. 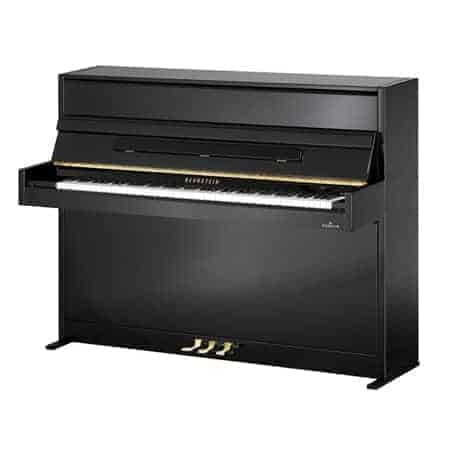 This is a mid-priced line intended to compete with other mid-priced pianos from Eastern Europe and Japan. Currently it consists of grands and verticals in three series. 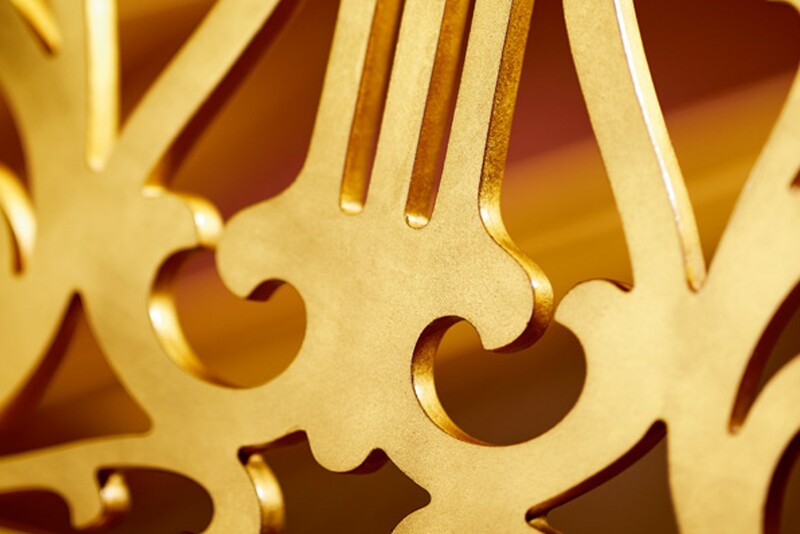 The Tradition- and Professional-series instruments are entirely made in the Czech Republic. The Professional series has a higher level of design and components, and more customized musical preparation by the company’s most experienced craftspeople. 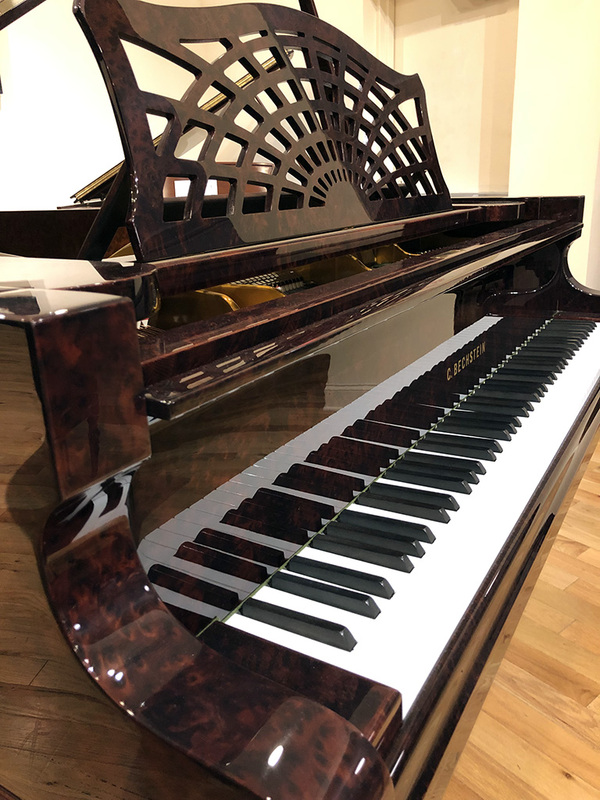 The Vision-series pianos are assembled in the Czech Republic, but their strung backs (the instruments’ structural and acoustical parts) are imported from China. 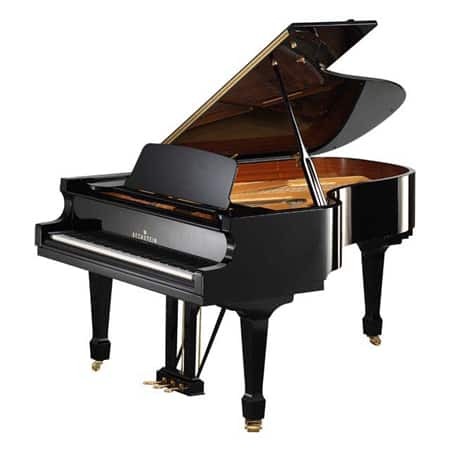 Bechstein also sells the Zimmermann brand, designed by Bechstein and manufactured in China. It is not currently available in North America.